If dark spots and patches are stealing your beauty and you are looking for some natural ways to solve your problem you are on the right page. In this article we will discuss natural home solutions to get rid of dark spots. 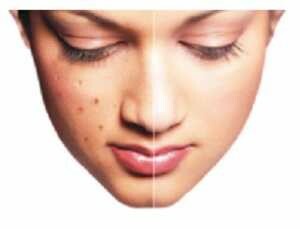 Before we discuss best dark spot treatment lets know what causes these dark spots. Dark spots make you feel embarrassed and you must have tried various of cosmetics available in the market that claims to get rid of dark spots. But instead of helping most of these chemical laden products worsen your condition. Also, these products are very costly. Below are some best dark spot treatments that are cost-effective, easily available and natural. 6 Home remedies to get rid of dark spots. 1. 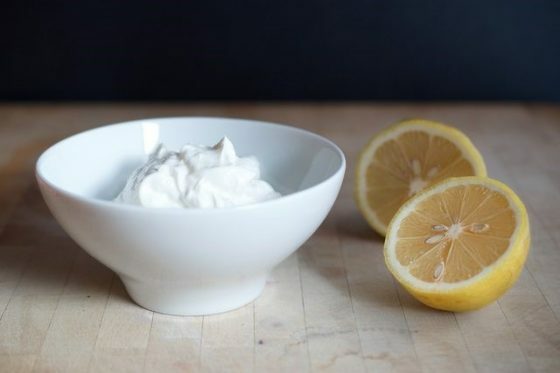 Lemon and yogurt face pack- Both lemon and yogurt have antimicrobial property. Lemon contains vitamin C. Yogurt Contains lactic acid and acts as a whitening agent along with making the skin smooth and glowing. This is the best dark spot treatment caused due to the sun. Take a tablespoon yogurt. Add a few drops of lemon juice to it. Mix well and apply it over the face. Let it dry for 20 minutes and then rinse off with cool water. 2. Sandalwood, honey, and milk face pack- Milk and sandalwood make the skin smooth and glowing. Honey is antibacterial and locks moisture in the skin. Together they are very effective to get rid of dark spots. Take a tablespoon sandalwood powder and add 1 teaspoon honey and sufficient amount of milk to make a paste. Apply this paste on your face. Wait for 20 minutes and they rinse off your face with cool water. 3. Fuller’s earth and rose water face pack– It is one of the traditional and best dark spot treatment. Rose water is antibacterial and fullers earth has whitening properties. Take a tablespoon fullers earth and add an amount of rosewater to make a paste. Apply the paste on your face and let it dry. After 20 minutes, rinse off the face. If your skin is dry, add coconut milk or glycerine to the paste. 4. Tomatoes to get rid of black spot– Tomato has bleaching properties. 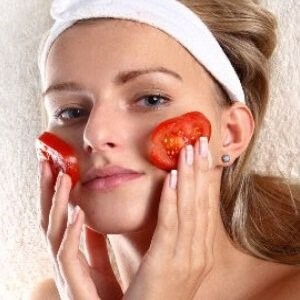 Take a slice of tomato and rub it on your face daily for 15 minutes. This is followed by rinsing off your face with water. Within a few weeks, dark spots will fade and your skin starts glowing. 5. Lemon and Aloe Vera- Extract the Aloe Vera gel and add a few drops of lemon juice to it. Apply this on your face and let it dry for a few minutes. Wash your face after 15 minutes. This is one of the best dark spot treatment. 6. 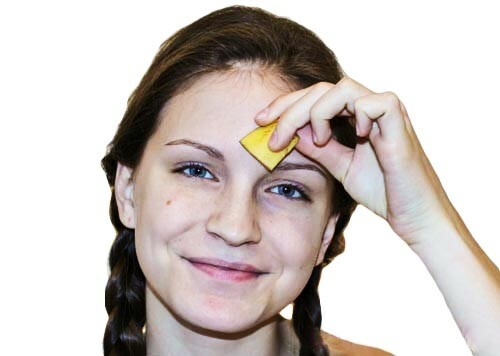 Banana peel– Take a slice of banana peel and rub it on your face. This helps to remove the dark spots caused due to the sun. Try any of the above-mentioned home solutions to get rid of dark spots 3 times a week for best results.